Our mouths are full of bacteria. 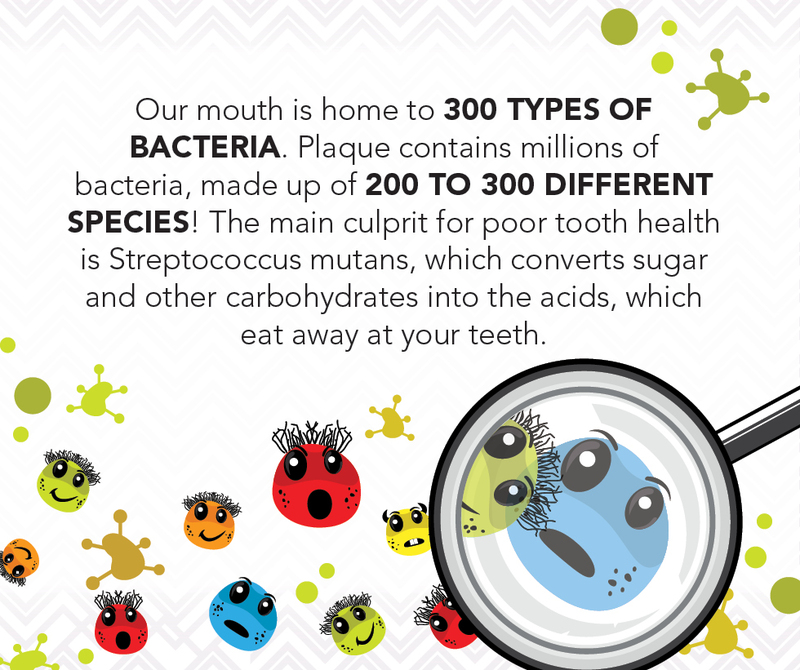 These bacteria, along with mucus and other particles, constantly form a sticky, colourless plaque on teeth. Brushing and flossing help get rid of plaque, but plaque that is not removed by these methods can harden and form tarter. Only a professional cleaning by a Dental Hygienist can remove tarter. The longer plaque and tarter are on the teeth, the more harmful they become. The bacteria causes inflammation of the gums that is called gingivitis where the gums become red, swollen and can bleed easily. Gingivitis is a mild form of gum disease and can usually be reversed with daily brushing and flossing and accompanied by regular cleaning performed by a dental hygienist. This mild form of gum disease does not include any loss of bone and/or tissue that hold teeth in place. When gingivitis is not treated, it can advance to periodontitis, where gums pull away from the teeth and form spaces (called pockets) that become infected. Bacterial toxins and the body’s natural response to infection start to break down the bone and connective tissues that hold teeth in place. If not treated, the bones, gums and tissue that support the teeth can be destroyed resulting in teeth that may eventually become loose and have to be removed. The main goal of treatment is to control the infection. The number and type of treatment will vary, depending on the extent of the gum disease. Any type of treatment requires that the patient keep up good daily care at home. The Dentist or Hygienist may also suggest changing certain behaviors, such as quitting smoking, as a way to also improve treatment outcome. A Dental Hygienist removes the plaque through a deep-cleaning method called scaling and root planing. Dental freezing can be used to allow for added comfort. Your dental pockets can also be disinfected with a laser or an antibiotic can be placed directly in the pocket to help you fight off any more bacteria that can cause gum disease. If the above procedures do not help control you disease progression then a referral will be made to a specialist – called a Periodontist – and surgery may be performed to help with pocket reduction.